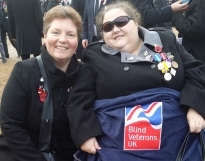 My name is Louise Collins and I have been crafting since 2013 after I was Introduced to it by the craft department at the Blind Veterans Centre in Brighton who saw something in me that I definately didn't when I first lost my sight. I joined the armed services in 2000 and following 4 years of service I left in 2004. It was some of the happiest times in my life and to all the people who I served with I thank you. Tragically in 2012 following a rare neurological illness I lost my eye sight and becam legally blind. 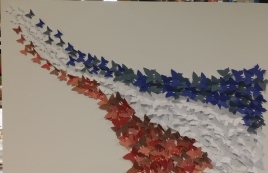 I became a member of Blind Veterans UK in 2013 and following this I was encouraged by the craft team to start making mosaics. 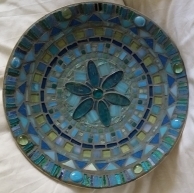 My mosaics were made as a means of rehabillitation and trying to use the little amount of sight I have. 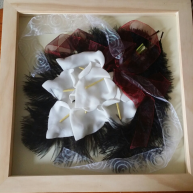 It started gradually with coasters and a mirror and as I becomae more confident in my abilities I then started making 3D art, cards and have now started making jewellery, with a specialism in decoupage layered cards and custom orders. 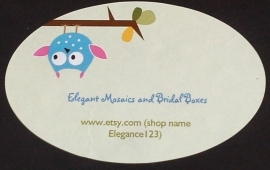 Elegant Mosaics was born in 2014 after people want to start buying the work that I was creating. I never thought that I would lose my sight and that I would be creating custom pieces of art for people. My sight loss gave me the oportunity to give back and please enjoy my website and the pieces I have to offer and do not hesitate to contact me with any custom orders that you may want to commision.